Since the Pentium era many new and excellent improvements have been made to the computer world by introducing products like Tablet PCs. 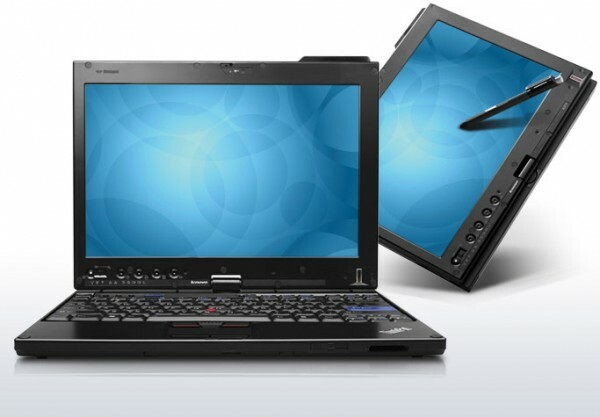 Lenovo, previously known as IBM has also launched such beauties in the market, while Lenovo ThinkPad or X201 has its own unique place. This 2.12 GHz Intel processed i7 Core is famous mostly for the fact that its screen can be rotated as such to be used as a touch sensitive tablet. Almost all its features are great and working fine. The sound is good touch system is sensitive enough and overall performance is fast and efficient. As a treat, just by spending an extra $200 one can get multi-touch feature added to the system. Its very light and weighs roughly below 4 pounds. Its appearance is glossy and a big enough screen to support a 10280 by 800 pixel display. It is highly customizable and although you can save $50 to $ 200 just by taking an i5 or a little i7 core in the same system, it would be wise to keep the current i7 core as it is faster and better working. Initially the system comes with a 2GB RAM but according to one’s needs this can be upgraded to 8 GB. However, 4 GB is enough to run windows 7 on this system. Whatever the OS maybe, the tablet is able to handle many parallel tasks simultaneously. Some of its users have claimed that default 250 GB hard disk is enough but this is not limited as it can be further increased up to 500 GB. The disk is 5400 rpm and despite that for those who want a longer life for their disks a 128 GB solid state hard disk is also available for an extra cost. Along with a built in microphone there are jacks and ports like Ethernet or LAN, sound jack, USB, etc similar to that found in any standard PC. Webcam is also supported for the important video chats and conferences one might have to attend. People still consider this Tablet to be very expensive as compared to what the market has to offer with all the same functionalities. They are also justified as there is an option of adding a CD/DVD burner and reader for extra cost. Such people also argue that all Lenovo does is tell the good side of the product and then say “available at the additional cost of”. In defense, the Tablet has an average 7.5 hours battery span which is very handy in power crisis and along all what it has to offer it also protects your personal stuff with a finger print scanner meaning only you can access to your data because cracking it is not an easy job. In between all of that it would be fair to say that this powerful system has fewer drawbacks and is very fast. Surely it is quite expensive for some but with a 1 year guarantee and customer support it is wise to take a look at it before buying something else.